Do you think birds evolved from dinosaurs? Why or why not? 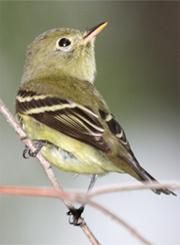 Visit the FSC ornithology page (click here). List 5 birds that are found in Atlanta. Did you know that Stars twinkle because their scattered light passes through various levels of our atmosphere. As the air moves at different levels or layers, the light is bent, which looks like “twinkling” to us on Earth. Serving DeKalb County since 1967 – Still going strong! Fernbank Science Center school programs are always free for your students. Dekalb County’s transportation policies have changed for the current year. Due to an extremely challenging budget situation for the school district, schools must cover the transportation costs for all field trips this year, including those to Fernbank Science Center. Does this pose a problem for your school? We can still come to you for free! Outreach programs allow your students to access Fernbank science expertise in your own classroom or school auditorium. Although we cannot bring the planetarium projector or Exhibit Hall, we are seeking ways to adapt as much of our programming as possible into a travel version offered at your school. Fernbank Science Center will host their annual fall plant sale September 22nd from 8:00 am to 3:00 pm. The fall plant sale, conducted by members of the horticulture department, will include over two hundred varieties of trees, shrubs, and flowering perennials. Many of the plants for sale are native species that are hard to find anywhere else. Experienced horticulturists and master gardeners will be on hand to provide advice to anyone who needs help with their gardening problems. All money generated at the plant sale supports programming at Fernbank Science Center. Teachers click here for a 20% off coupon.